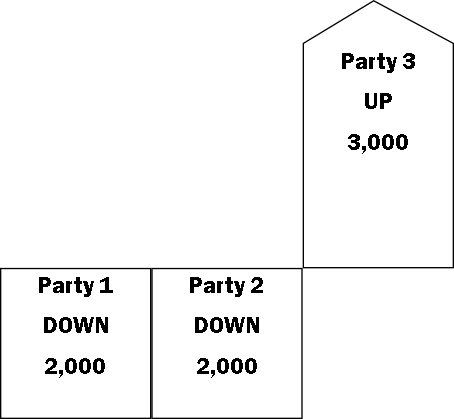 The pointed top is used to imply Party 2 is on its way up. Of course, Party 3 wouldn’t find this particularly useful. 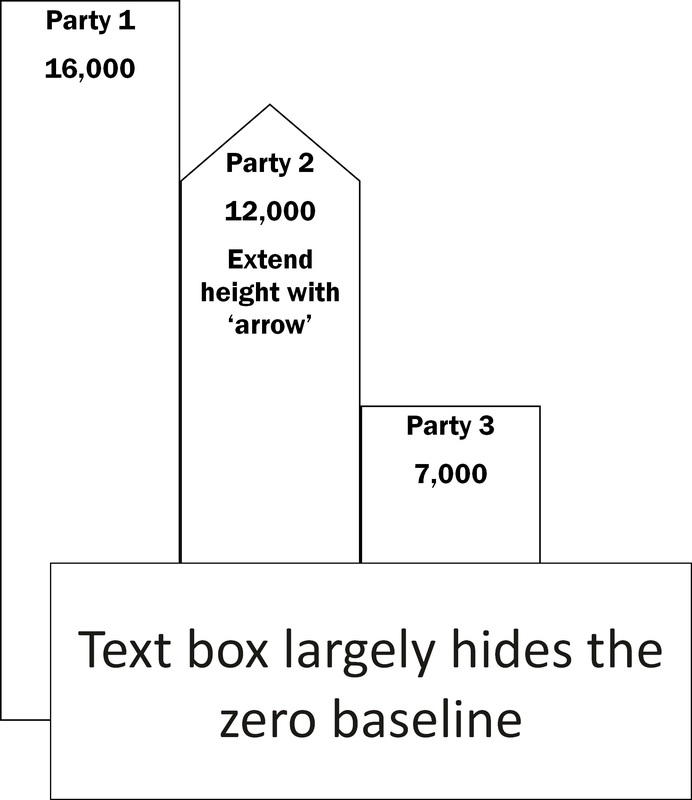 They might even put down arrows on Party 1 and Party 2 to further emphasise the changes. Other ways in which this technique is used is with changes in numbers of votes from general election to local election, changes in vote shares, and national opinion poll movements. Next Next post: Friday quiz time – which island is which?